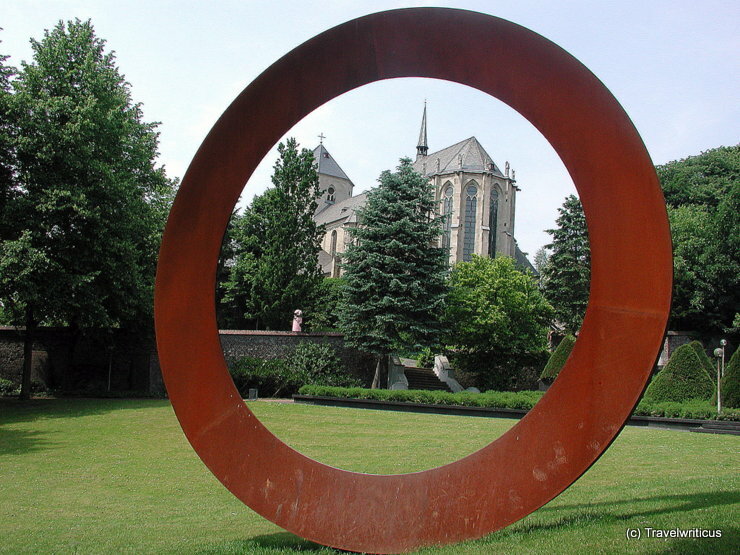 The photo was taken in the sculpture garden of the Abteiberg Museum. The sculpture is titled Annelo and was created by Italian sculptor Mauro Staccioli (1937-2018) in 2001. This entry was posted in Churches and tagged Germany, Mönchengladbach, North Rhine-Westphalia by Travelwriticus. Bookmark the permalink.